Alejandro Häsler of Swiss nationality, was born in Santiago de Cuba on the seventh of October, 1959 and has lived in Spain since 1969. His initial training as an artist was with his father, the Swiss painter, Rudolf Häsler. He studied art at the Sant Jordi faculty of fine arts, Barcelona, and trained as a stone sculptor in Florence, Carrara and Siena. His education continued in New York, China and Japan, where he learnt calligraphy and traditional Chinese painting, as well as wood engraving. He travelled frequently and has spent extended periods in Europe, Africa, India, China and Cuba to further develop his artistic skills. 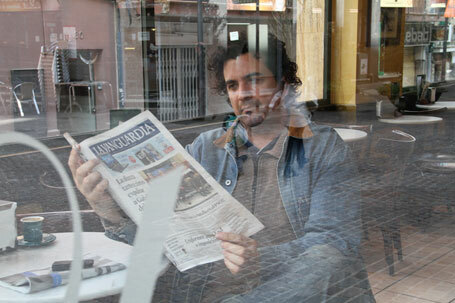 Alejandro has exhibited in several Barcelona galleries (including his participation in the Contemporary Realism in Catalonia exhibition, held in the Santa Monica Art Centre in Barcelona). His work has also been exhibited in other major Spanish cities and in many countries, including Switzerland, Lebanon and Italy.